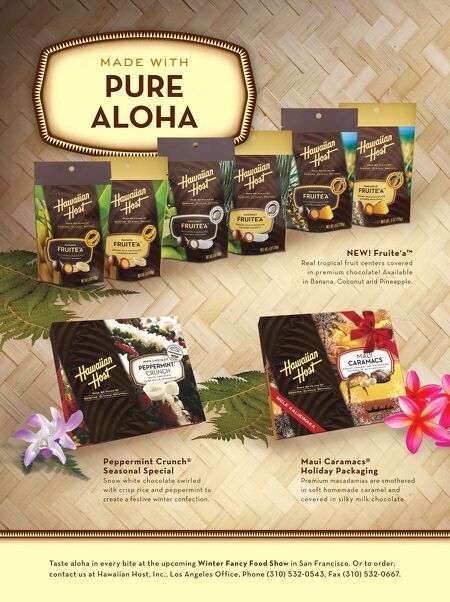 made with PURE ALOHA Taste aloha in ever y bite at the upcoming Winter Fancy Food S how in San Francisco. 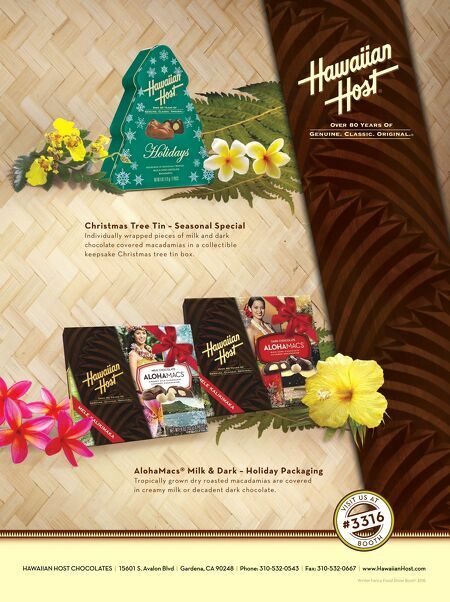 Or to order, contact us at Hawaiian Host , Inc . , Los Angeles Office, Phone (310) 532- 054 3, Fax (310) 532- 0667. N EW! Fruite'a™ Real tropical fruit centers covered in p re mium ch o colate! Available in Banana, Coconut and Pineapple. Peppermint Crunch® Seasonal S pecial S n ow w hite ch o colate swirle d with crisp rice and peppermint to create a festive winter confection. Maui Caramacs® Holiday Packaging Premium macadamias are smothered in sof t homemade caramel and cove re d i n s i l k y m i l k c h o co l a te .